Read this and other incidents in the latest Mt. Laurel Police report. On Jan. 23, the Mt. Laurel Police Department requested the public’s help in identifying a woman suspected of loading up a shopping cart at Wegmans on Centerton Road on Jan. 22 with 45 cans of baby formula and seven boxes of diapers and then leaving the store without paying. According to police the merchandise was valued at $1,159. Police say investigators later identified the woman as Nicole L. Roszkowiak, age 44, of Quinton. On Feb. 10, police say the woman turned herself in at Mt. Laurel Police Headquarters. According to police, she was arrested, charged with shoplifting and released pending a court hearing. Police say the investigation revealed that she sold the stolen merchandise and it was not for personal use. At 4:02 a.m. on Feb. 10, Mt. Laurel Police conducted a motor vehicle stop on Wellesley Court near Amberfield Drive. During the stop officers arrested Addeli Sanchez-Cid, age 25, of Tabernacle. He was charged with driving while intoxicated and released pending a court hearing. At 12:52 a.m. on Feb.10, Mt. Laurel Police conducted a motor vehicle stop on Route 73 near I295. During the stop officers arrested Kenneth Davis, age 28, of Cherry Hill. He was charged with possession of less than 50 grams of marijuana and possession of drug paraphernalia. He was released pending a court hearing. Between 1:30 and 2:30 p.m. on Feb. 9, an unlocked vehicle parked at Future Fitness on Hovtech Boulevard was entered. Credit cards were stolen. A resident of the 200 block of Courtney Way reported that at approximately noon on Feb. 9 he left his unlocked vehicle running in front of his residence to warm up. When he returned approximately 10 minutes later he found the vehicle had been stolen. On Feb. 10 the vehicle was found unoccupied on Transom Court in the Rancocas Pointe Development in Mt. Laurel. At 12:57 a.m. on Feb. 9, Mt. Laurel Police conducted a motor vehicle stop on Route 38 near Fostertown Road. During the stop officers arrested Lorenzo C. Raffa, age 18, of Lumberton. He was charged with possession of less than 50 grams of marijuana and possession of drug paraphernalia. He was released pending a court hearing. An 18 year old victim reported that he was walking in the area of Willow Turn at approximately 5 p.m. on Feb. 7 when he was approached by two unknown subjects. One of them attempted to reach into his pocket so the victim ran from the suspects. The suspects gave chase and caught the victim forcing him to the ground. They held him down and stole his wallet and cell phone. Between Feb. 4 and Feb. 5, five large screen TVs were stolen from a storage room at a hotel on the 500 block of Fellowship Road. At 8:57 a.m. on Feb. 7, Mt. Laurel Police responded to a hotel on the 500 block of Fellowship Road for the report of a subject breaking into a vending machine. The investigation identified the suspect as John C. Rizzo, age 20, of Runnemede. While still at the hotel another call was received reporting a disturbance at a hotel on the 900 block of Route 73. Officers responding to that call learned that Rizzo had an altercation with hotel guest Michelle Surran, age 48, of Runnemede and both had fled the scene on foot. Tools used to break into the vending machine at the other hotel were located. Officers found Rizzo and Surran on West Park Drive near Fellowship Road. Surran was arrested for outstanding warrants and turned over to another law enforcement agency. Rizzo was arrested and charged with burglary, criminal mischief, possession of burglary tools, and possession of drug paraphernalia. He was committed to the Burlington County Jail. At 3:28 a.m. on Feb. 5, Mt. Laurel police located an occupied suspicious vehicle on Birchfield Court. During the investigation officers arrested Michael D. Forte, age 24, of Cinnaminson, and Ashley Y. Ivanov, age 26, of Mt. Laurel. They were both charged with possession of less than 50 grams of marijuana and possession of drug paraphernalia. They were released pending a court hearing. On Feb. 4 a guest at a hotel on the 1100 block of Route 73 reported that someone stole prescription medication form her unlocked room. At 7:26 p.m. on Feb. 4, Mt. Laurel Police responded to a hotel on the 900 block of Route 73 for a fight in progress. The investigation revealed that three employees got into an argument that escalated into a physical altercation. None of the involved parties wished to pursue complaints. A resident on the 4900 block of Dunbarton Road reported a window on their vehicle was broken during the overnight hours of Feb. 3 into Feb. 4. At 11:45 a.m on Feb. 3, Mt. Laurel Police conducted a motor vehicle stop on Route 38 near Larchmont Boulevard. During the stop officers arrested Rodney N. Owens, age 73, of Mt. Laurel. 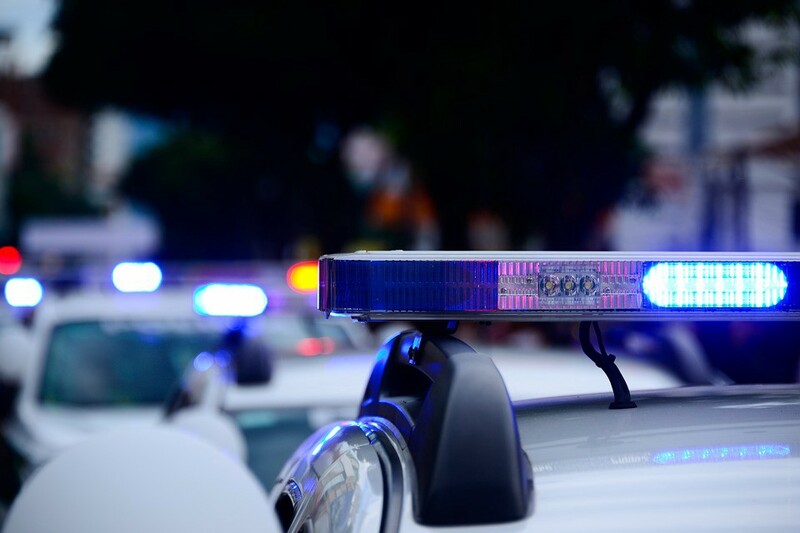 He was charged with hindering his own apprehension after providing a false name to officers in an attempt to avoid being arrested for multiple outstanding warrants. He was committed to the Burlington County Jail.